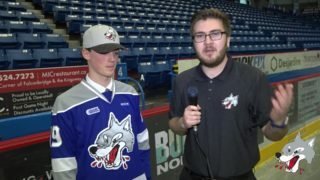 The Wolves wrapped up their double header weekend Sunday afternoon when they battled the Kitchener Rangers at the Sudbury Arena. The Rangers proved to be more than the Wolves could handle, dominating the second half of the game and sealing the deal with a 9-3 victory. Goaltender JAKE MCGRATH was busy in the first period stopping the first 9 shots of the game. 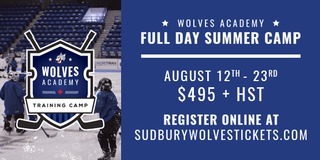 The Wolves made their shots count with ALAN LYSZCZARCZYK scoring first for the Wolves on their second shot on net. 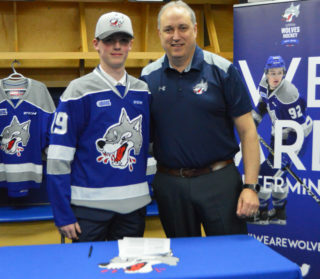 It was MACAULEY CARSON from LIAM DUNDA and BRADY PATAKI who gave the Wolves a 2-0 lead. On the Wolves first power play of the game MASON KOHN broke in short handed and was granted a penalty kill where he beat MCGRATH top shelf. Seconds later, NICK MCHUGH added a second shorthanded goal for the Rangers to tie the game 2-2. Shots on goal after 20 are 15-9 in favour of the Rangers. The Rangers took control of the second period after DAVID LEVIN made it 3-2 early on in the frame. 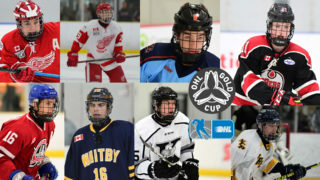 The Rangers went on to add five goals in the period with two from CONNOR BUNNAMAN and RILEY DAMIANI, GIOVANNI VALLATI and DARBY LLEWELLYN each adding singles. ZACK BOWMAN finished the second period, relieving MCGRATH from his duties. 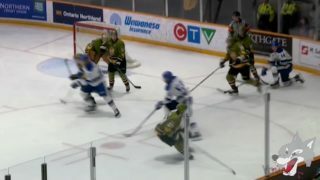 The Wolves became frustrated in the third and found themselves in penalty trouble. DYLAN DI PERNA and LLEWELLYN added power play goals for the Rangers to close out the Sudbury Wolves to a 9-3 final. Shots on goal at the end of the game were 40-30 in favour of the Rangers. The Wolves hit the road on Thursday for their second game in a week against the Barrie Colts. Fans can follow the Wolves on Facebook and Twitter as the puck drops at 7:30pm. 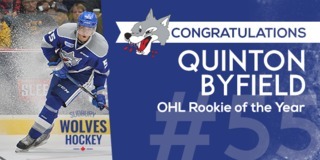 It’s another double header weekend as the Sudbury Wolves will host the Owen Sound Attack on Friday night at 7:00pm. The game is sponsored by Rock 92.7.